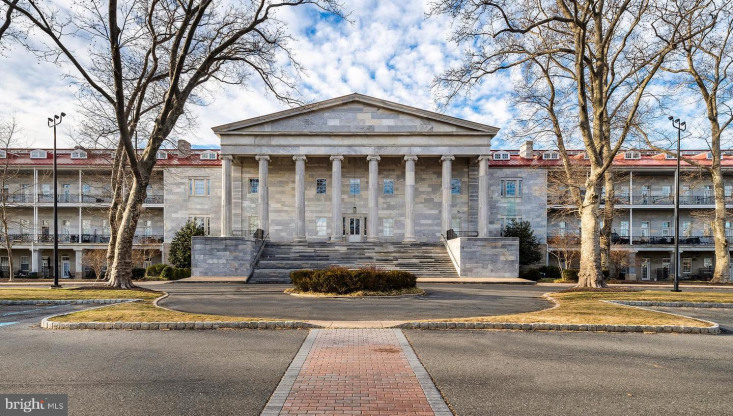 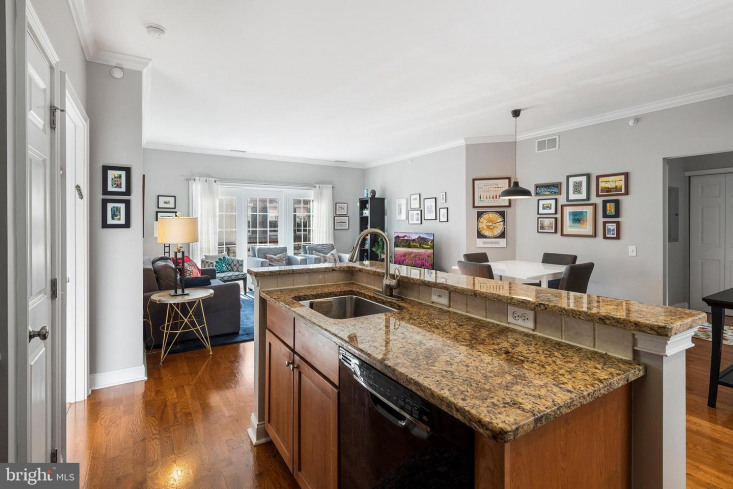 Stunning and rarely available two bedroom and two bathroom condo in desirable Naval Square! 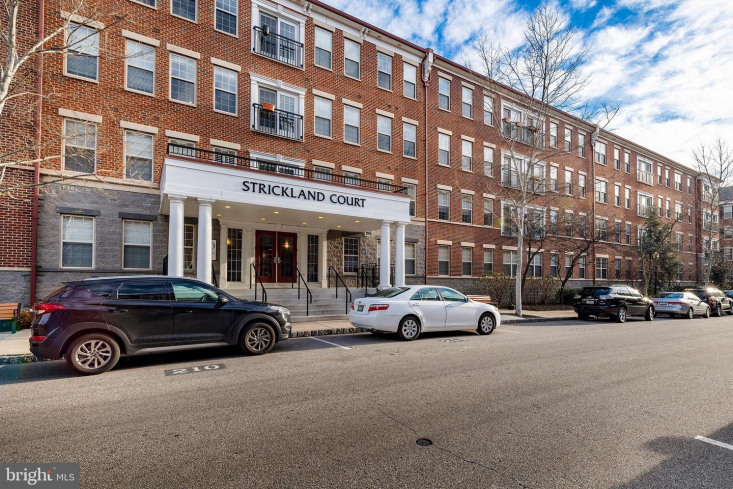 This elite Toll Brothers development boasts stately brick and stone buildings surrounded by a lovely softscape in a community that is filled to the brim with amenities! 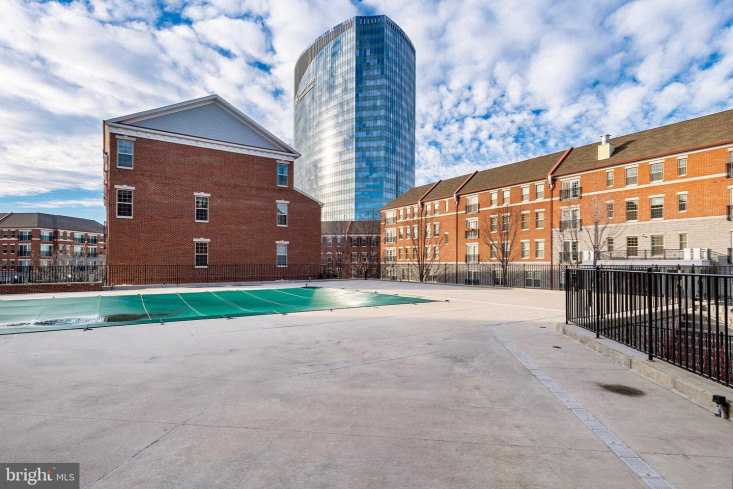 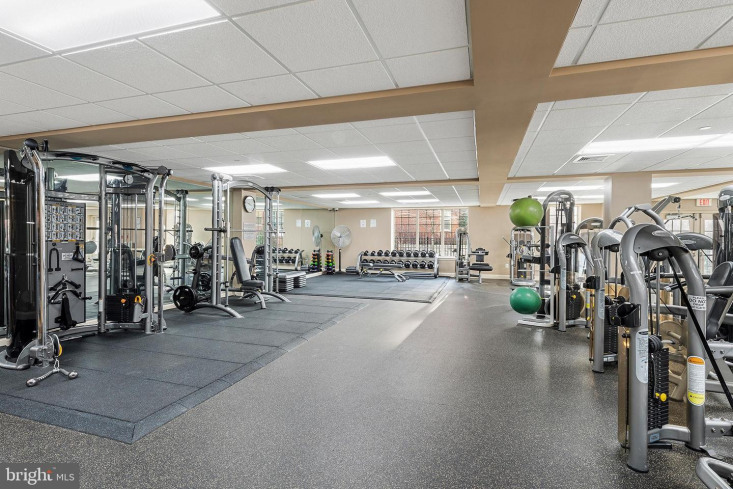 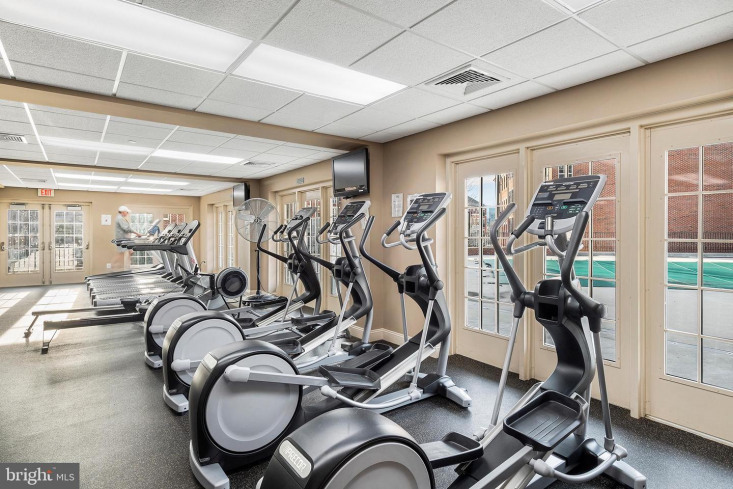 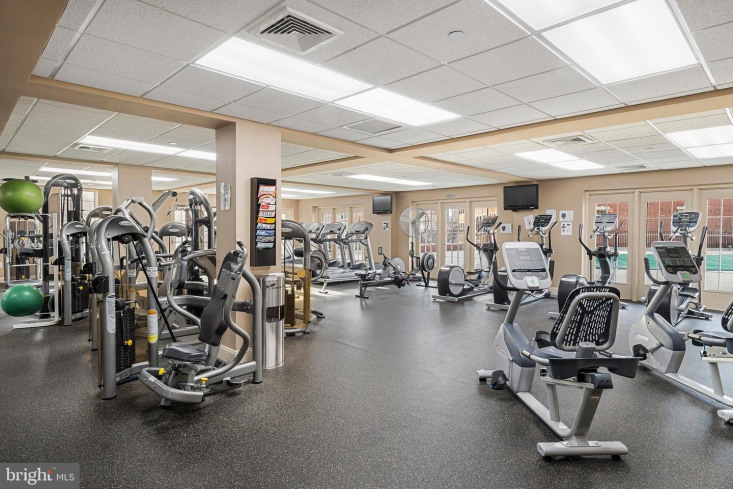 24-hour Gated Security, Deeded Parking, Community Room and On-Site Fitness Center with Pool are among the countless perks that make Naval Square a comfortable place to call home. 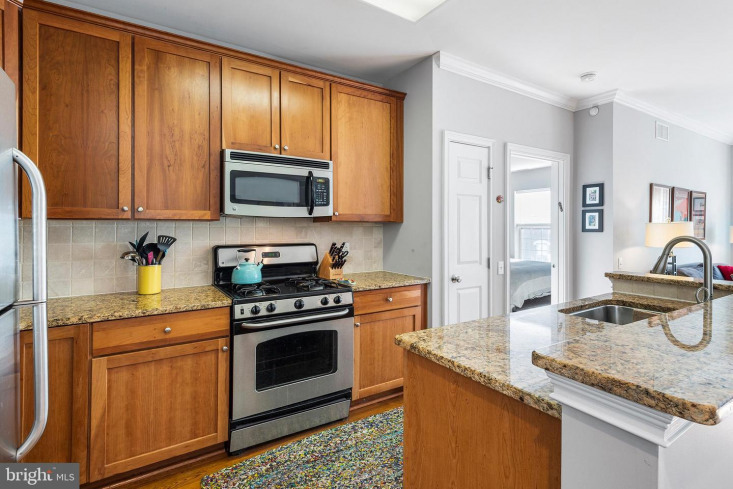 Step inside this spacious Strickland Court residence where Hardwood Flooring, Recessed Lighting and Decorative Moulding carry you from the Chef~s Kitchen to the sunny front living room which boasts Oversized Windows and a fantastic Juliet Balcony. 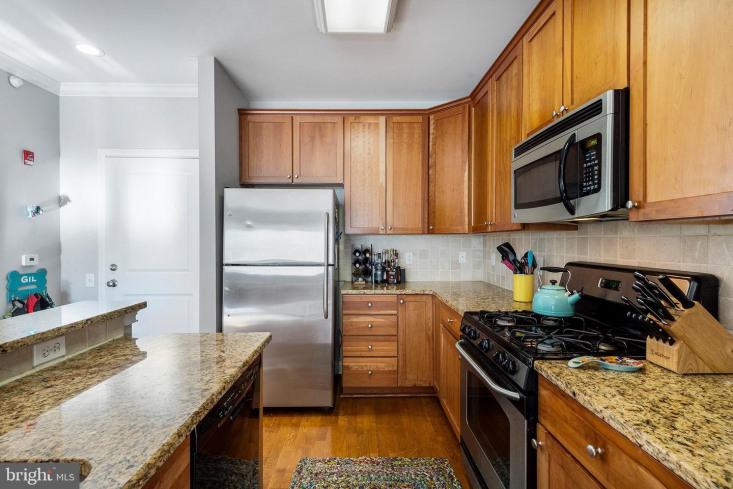 The gourmet kitchen is perfect for entertaining and features Granite Countertops, Custom Oak Cabinetry, Gas Cooking and GE Appliances. 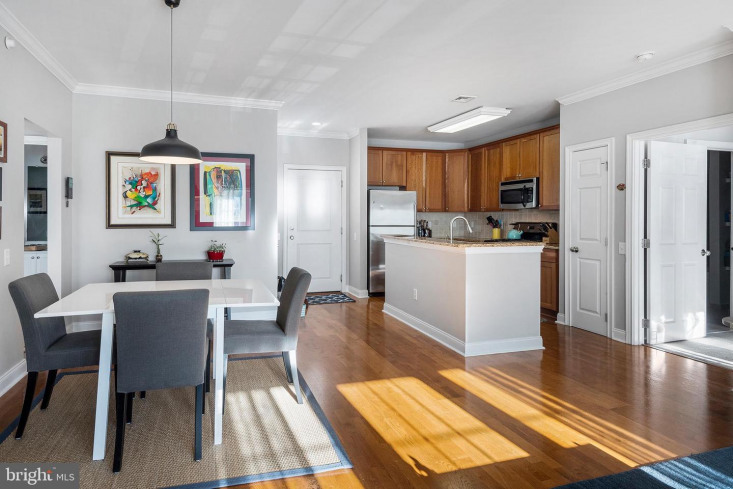 Enjoy morning coffee or a quick bite at the Breakfast Bar or head to the spacious open living room which contains plenty of room for a formal dining room table. 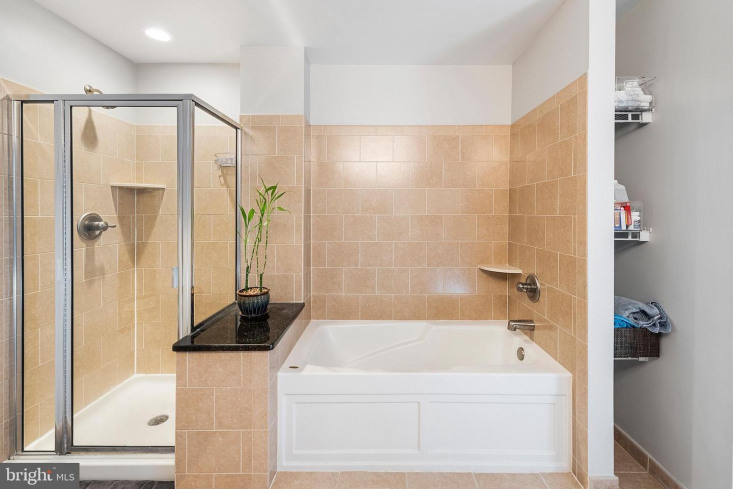 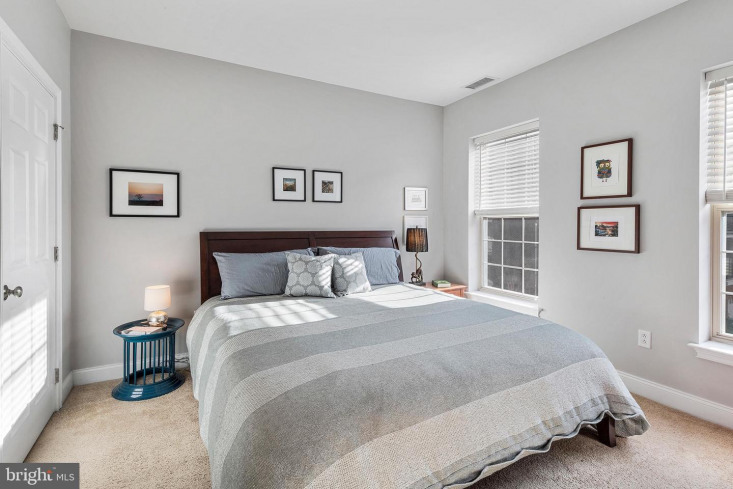 The king sized Master Suite is the perfect retreat from the hustle and bustle of city life and features an en suite bathroom outfitted with a dual sink vanity, soaking tub, glass shower enclosure and linen closet. 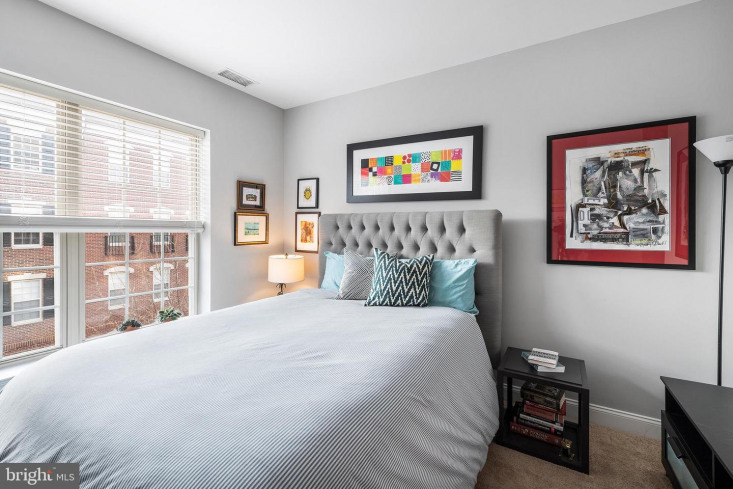 A custom shelved bedroom closet completes this suite! 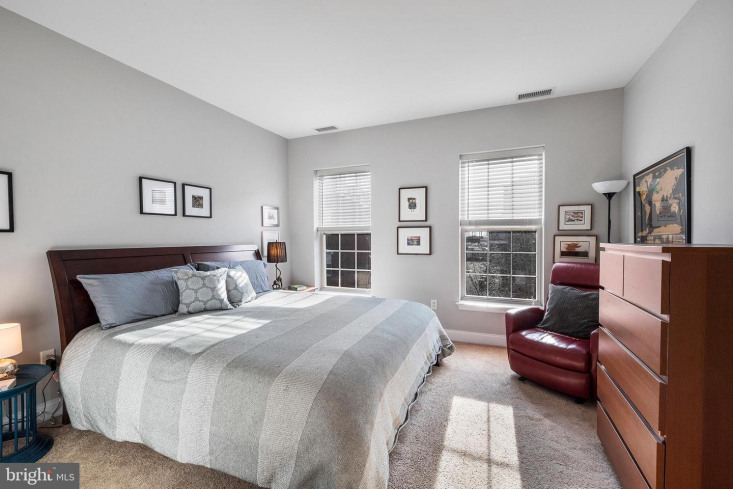 Opposite the master suite is a second bedroom, the perfect space for guests, an office, home gym or nursery. 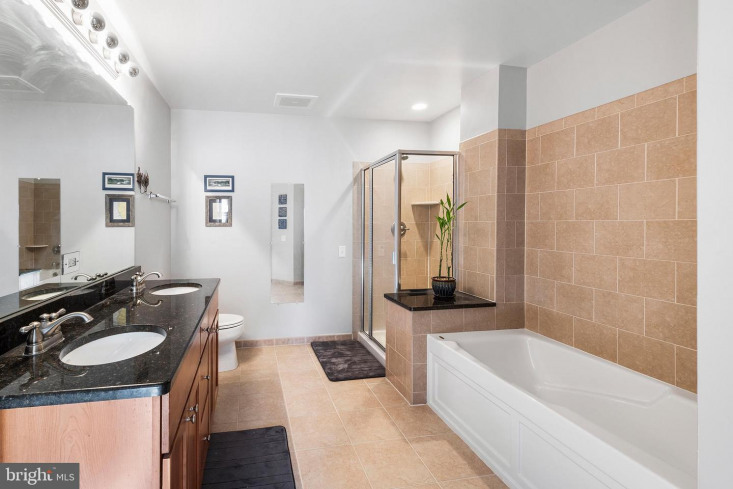 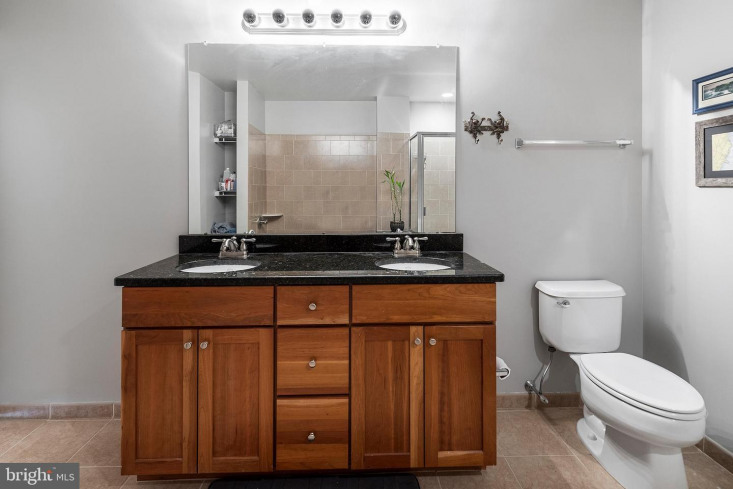 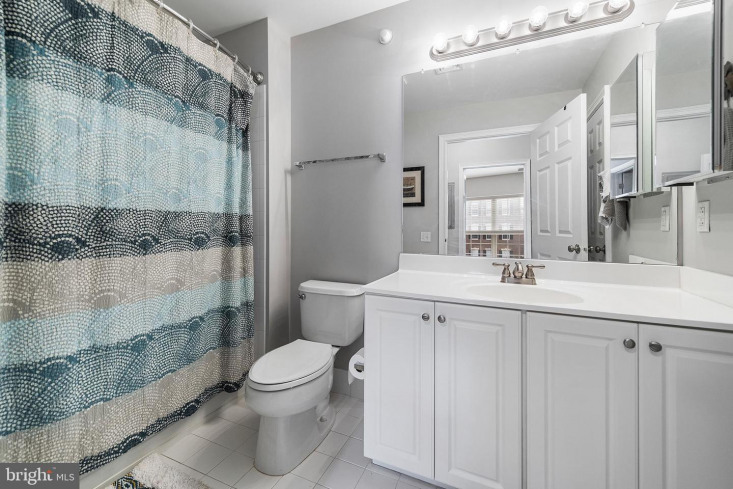 Convenient for company, a hallway bathroom is located across from the guest suite, right next to your in-unit laundry closet. 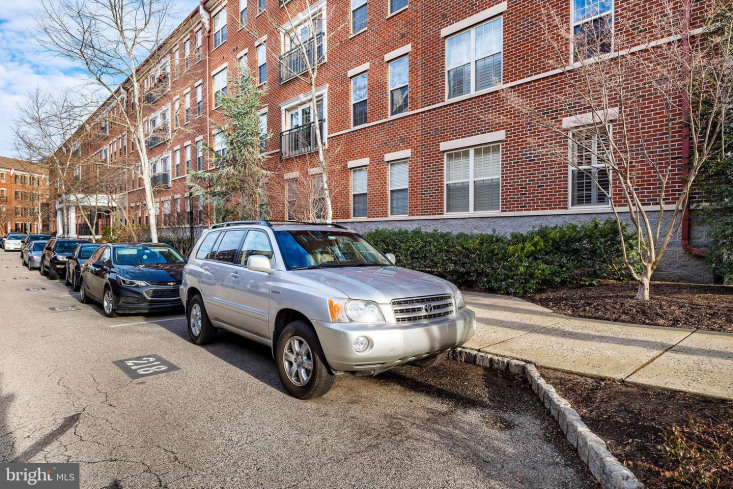 One deeded PARKING SPACE, located just outside of the building, will be deeded to the new owner! 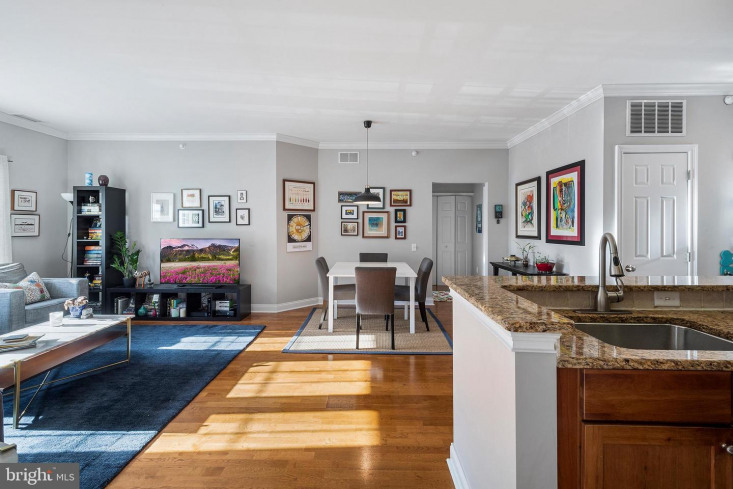 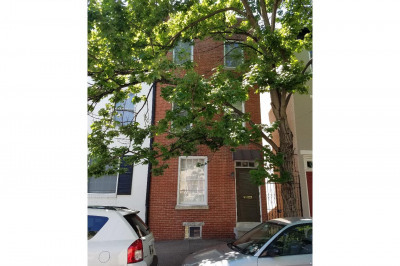 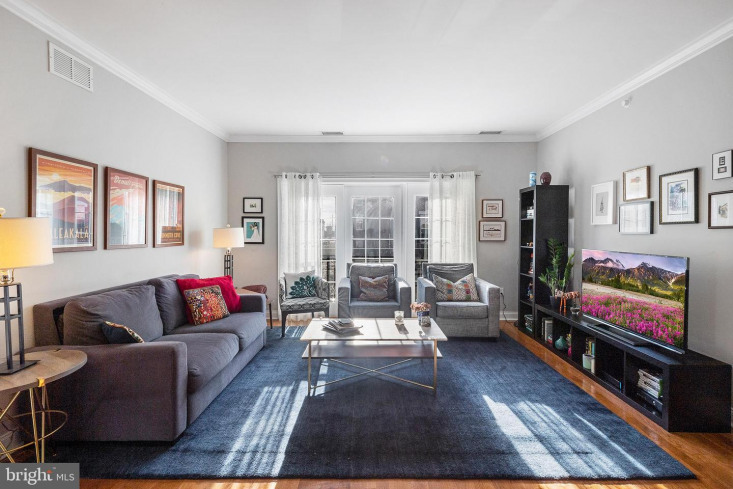 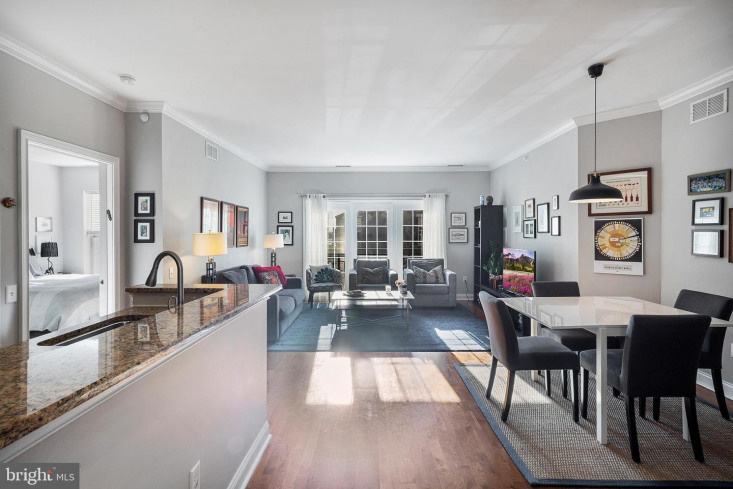 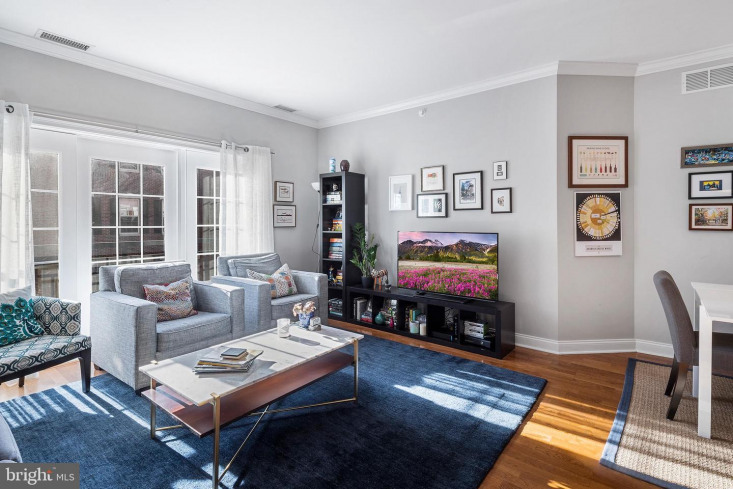 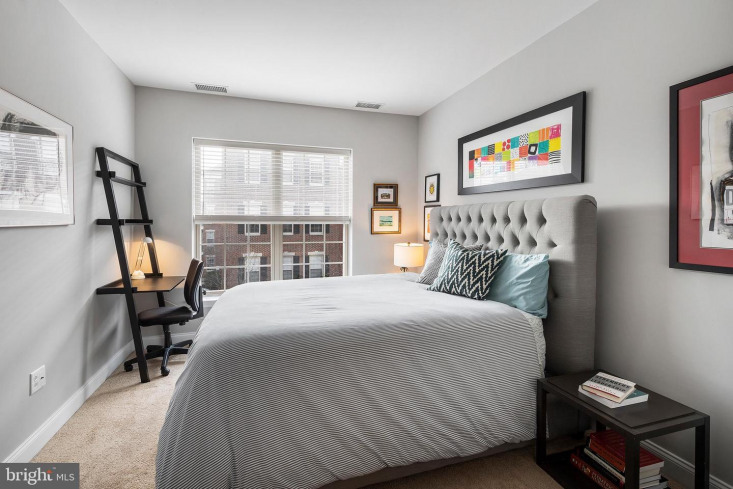 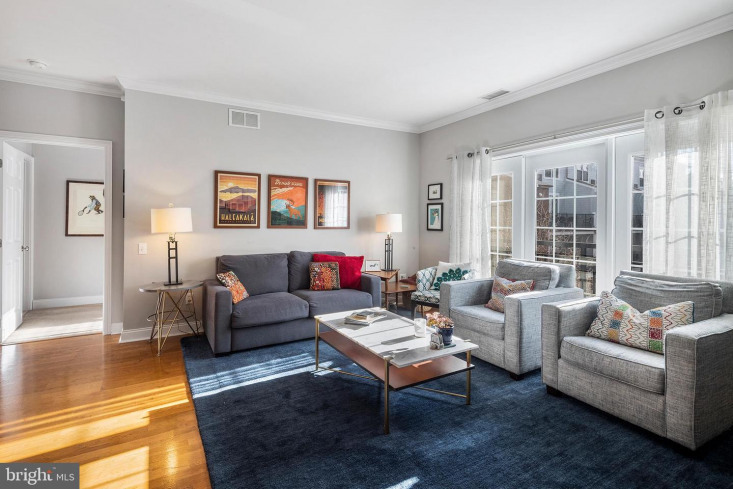 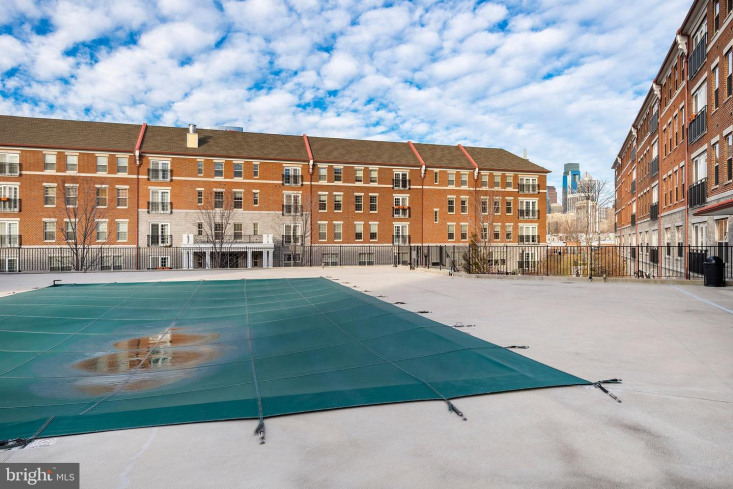 Naval Square is situated in a Prime Location, just minutes from popular Fitler Square, Rittenhouse Square and bustling South Street, which is complete with a Starbucks, South Street Market and numerous retail shops. 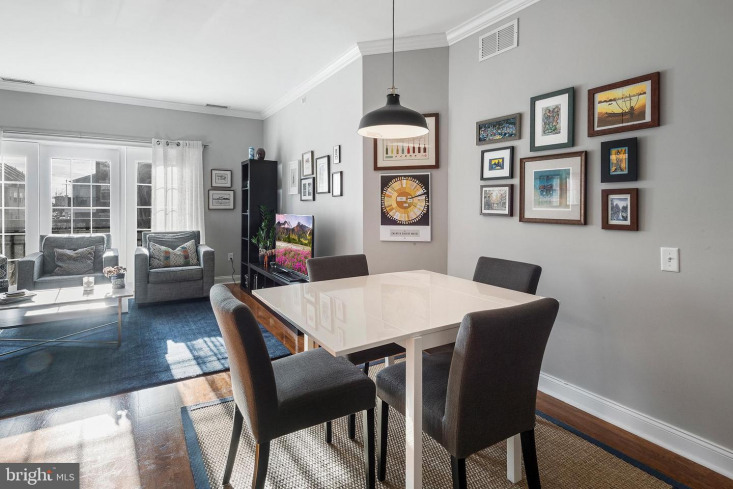 Enjoy an espresso or empanada at Jezabel's, brunch at Honey's Sit and Eat and a lively dinner at Trattoria Carina or Pub and Kitchen, all a short walk away! 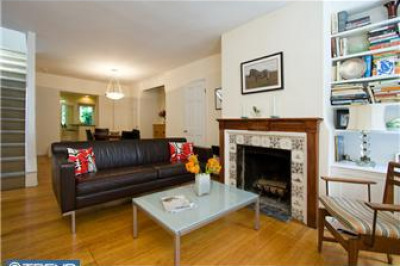  Quick access to SEPTA subways, bus routes, and all major highways.